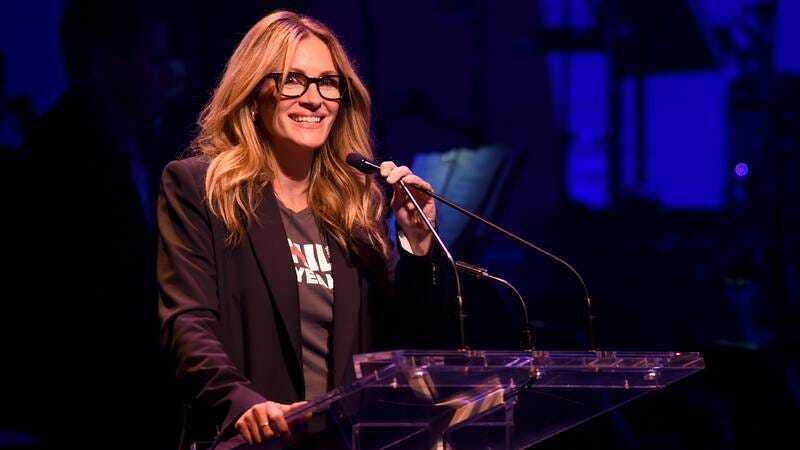 Julia Roberts has apparently decided that it’s time for her to embrace this whole television thing. Just a few days ago, we reported that Roberts will be producing and starring in an adaptation of Maria Semple’s Today Will Be Different for HBO, and now Deadline says that Roberts has also signed on to star in Homecoming, a new drama series created by Mr. Robot’s Sam Esmail. The series will be based on Gimlet Media’s podcast of the same name, which launched in November and featured its own big-name cast—specifically Catherine Keener, Oscar Isaac, David Schwimmer, Amy Sedaris, and David Cross. The podcast was about a caseworker at a secret government facility who stumbles onto some kind of larger mystery alongside her supervisor and a soldier trying to return to life as a civilian, and it was all told through phone calls and overheard conversations between the characters. The TV show will presumably have a more traditional structure, but none of those pertinent details, including who will be replacing Schwimmer and Isaac in the supporting roles have been announced.